Kidney disease could be the result of uncontrolled hypertension. Kidneys are bean-shaped organs, located just below the rib cage, one on each side of the lumbar spine. The normal urinary output for an adult who ingests about 2 liters of fluid per day is between 400-2,000 ml. The urine flows from the kidneys to the urinary bladder through elastic tubes called ureters and is stored there until bladder empties. Urine flows through urethra another tube located at the base of the bladder. Kidney disease could either caused by or lead to high blood pressure. The kidneys are a basic component in the blood pressure regulation. 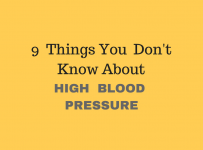 Blood pressure control through renal system is exerted through blood volume and electrolyte regulation and the release of certain hormones that affect blood pressure. Sodium and potassium are electrolytes with vital role for the body and one of the many reasons is that they have direct association with blood volume. Because sodium is a fluid retainer, your kidneys will adjust its levels in blood in order to keep the blood pressure normal. Renal system releases specific hormones like renin that act cooperatively to maintain a healthy blood pressure. Renin is released when specific sensors located in the kidney arteries, detect an abnormal decrease in blood volume that passes through kidneys. Renin in turn, activates a volume restoring mechanism which increases water and sodium retention. In case that kidney arteries have become narrowed (as for instance due to increased cholesterol), little blood will pass through so that the sensors inside them will interpret this as low blood pressure and this will result in hypertension. Kidney disease does not cause symptoms during its first onset. Swelling in the legs, feet, ankles, hands and face occurs when the kidneys cannot get rid of extra fluid and salt. 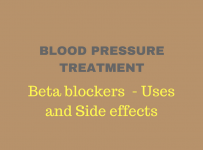 Regular blood pressure monitoring is necessary to detect hypertension. A healthy kidney will not allow albumin to pass in urine. Traces of albumin may be a normal finding but if are repeatedly found could designate prediabetes. A urine albumin result above 30 is abnormal and may mean kidney disease or prediabetes. If albumin is traced in your urine, your health provider would ask to repeat the test to confirm the result. It measures how much blood the kidneys filter each minute. Values below 60 indicate the presence of kidney disease, while less than 15 means serious kidney damage.